Born in 1978 in Jiangsu Province, Xu obtained a master's degree in Chinese literature at Peking University, and is now an editor at People's Literature magazine. Despite this pedigree, Xu's fiction is focused primarily on China's less-fortunate social classes – peddlers of pirated DVDs, migrant workers – and his spare, realist style lends some wry humor to their struggles. Xu has published three novels, Midnight's Door, Night Train and Heaven on Earth, and a collection of short stories entitled How Geese Fly up to Heaven. 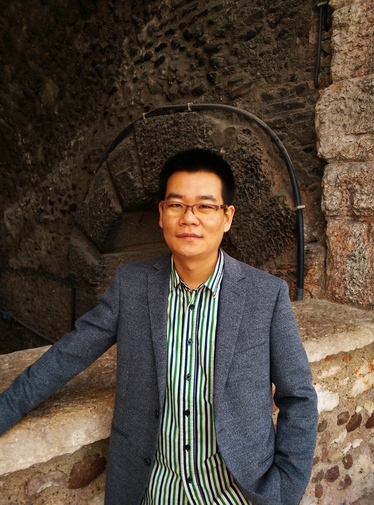 He has won several prizes within China for new and promising writers, and is generally considered one of the burgeoning new stars of China's literary scene. In 2009, he was Writer in Residence at Creighton University in Nebraska, and in 2010 took part in the University of Iowa’s International Writing Program. His work has been translated into German, Korean, English, Dutch, Japanese and Mongolian. His newest novel, Jerusalem, is published by the Beijing October Arts and Literature Press.